SteriPEN is the world’s leading manufacturer of ultraviolet, handheld water purifiers. 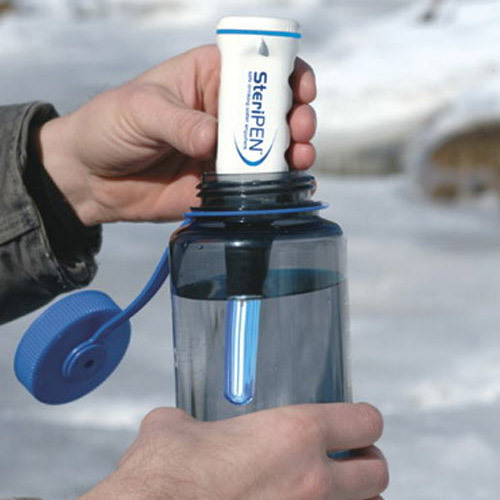 Any of the SteriPEN purifiers makes either 16 or 32 ounces of water in under 1 minute. It easily make safe drinking water available for travel, outdoor recreation, and home emergency kits at a tiny fraction of the cost of bottled water. With one set of four AA alkaline batteries, Classic 3 purifies up to 50 liters or supercharge your Classic 3 with lithium batteries and treat up to 150 liters. 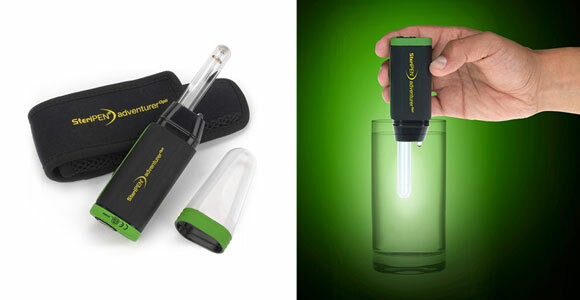 With a lamp life of up to 8,000 liters, you’ll be drinking safe water for over 7 years! When camping, hiking, backpacking or traveling the Classic 3 with Pre-Filter is the perfect pack to keep you safely hydrated. 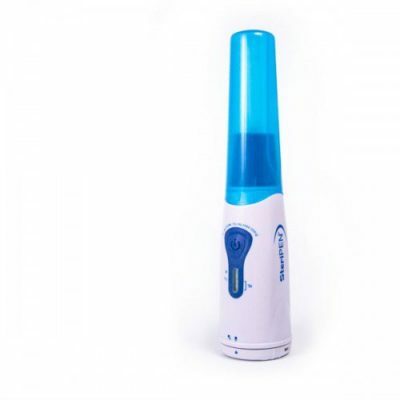 Classic 3’s UV light destroys over 99.9% of waterborne microorganisms that cause illness. Alkaline: 100 treatments (16oz./0.5L) or 50 treatments (32oz./1L), Lithium Disposable: 300 treatments (16oz./0.5L) or 150 treatments (32oz./1L), NiMH: 200 treatments (16oz./0.5L) or 100 treatments (32oz./1L). This is a compact version of the SteriPen Classic and was the ecipient of a 2012 Desnivel Award … one of the 15 best new products. When camping, backpacking & hiking, if you won’t have access to the power grid for several days a time, this is the water purification system for you. 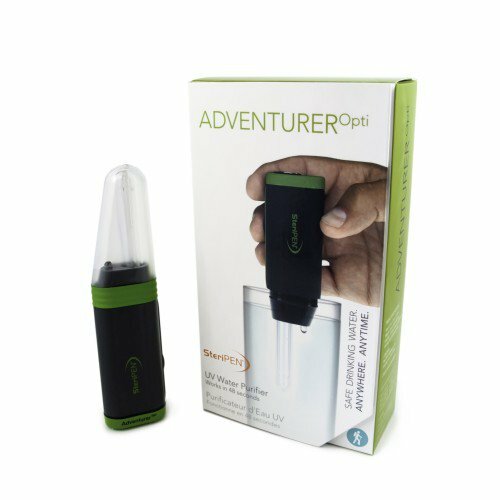 The Adventurer Opti UV water purifier is essential gear for thousands of adventurers and features a patent-pending technology – an optical eye senses water to ensure safe use and effective treatments. The revolutionary optical water sensor doubles as an integrated LED flashlight for added convenience on the trail or around the campsite: hold down the activation button for three seconds to illuminate the darkness. This product includes the SteriPEN Premium Lamp Life Pledge. After purchase from an authorized reseller, register your SteriPEN at SteriPEN.com/register. Reach the lamp life limit (8,000 treatments) and we’ll replace it with a new SteriPEN! For details visit SteriPEN.com/Pledge. Contents: SteriPEN Adventurer Opti Water Purifier, two disposable (non-rechargeable) CR123 batteries, neoprene case with belt loop, and user’s guide. Three year limited warranty. 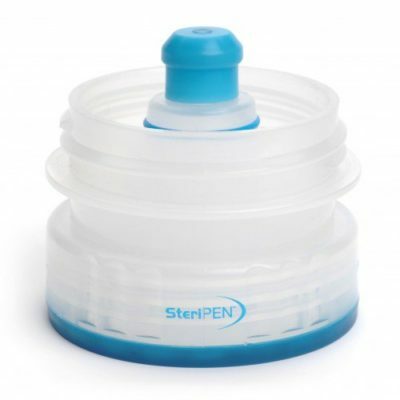 The SteriPEN Pre-Filter removes debris from water so the UV light can effectively destroy the microorganisms in it. 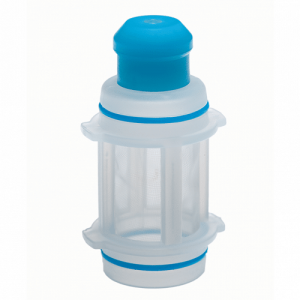 Just screw it onto you Nalgene bottle before filling it and this pre-filter will filter out the larger particles and debris before using the SteriPen.